As a relatively recent convert to The Wizarding World and completely bowtruckle-obsessed fan, I have been looking forward to the sequel to Fantastic Beasts and Where to Find Them since it was announced. The release of the film coincided with my return to America after two years abroad and was a real light at the end of the dark tunnel that is a big international move. 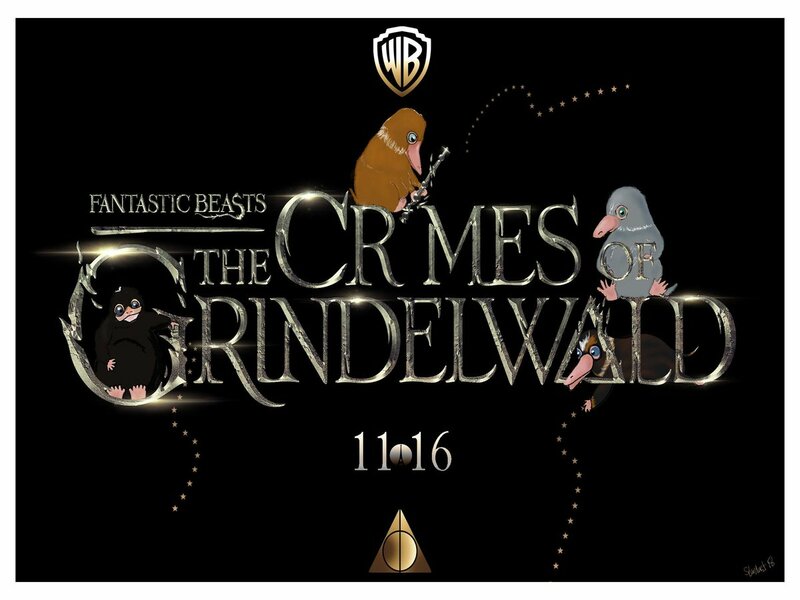 4 stars for me– if you are a Potterhead, definitely see! The movie wasn’t perfect, there are few perfect films that will satisfy everyone. 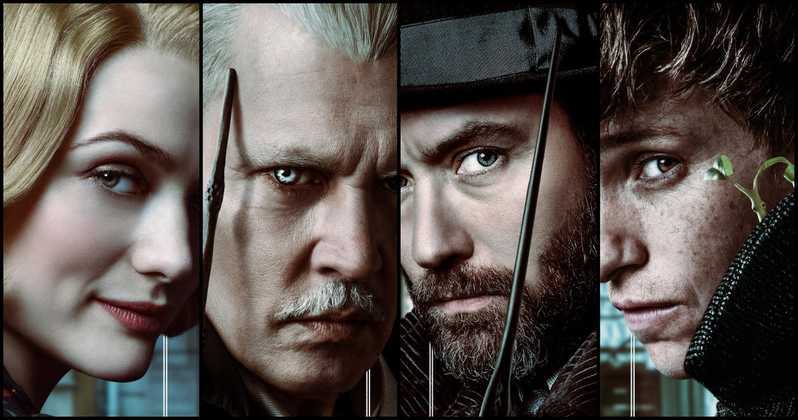 Fantastic Beasts: The Crimes of Grindelwald is lush and beautifully filmed and the costumes, sets, music, and effects are stunning. The performances are mostly good to excellent with a few missed notes. (Unfortunately, some of these missed notes happen in scenes with my favorite characters.) There are several interesting new players in the story and all the popular characters get a good amount of time on screen. The problem is that this larger cast prevents a deeper dive into some of the carryover and new characters alike. I wasn’t always convinced of the motivations driving some of the actions, perhaps due to many disparate threads to weave together and exposition that needed to happen to bring the viewer to the present moment. That being said, the story held my interest for the duration and I enjoyed the twists and turns. The pacing of the film was good with a balance of somber moments, light romance, action, suspense, and humor. There were some interesting new and returning fantastic creatures and my dear Pickett, but I could have done with some more baby niffler screen time! The film is darker than the first Fantastic Beasts movie and would be best left to teens and adults rather than younger children who might be frightened and not understand the story. I’m looking forward to seeing where the rest of this franchise goes and how the characters’ storylines weave together. I have trust in the storyteller, the director, and the rest of the people working on this I’m excited to see where they take it. I recommend you see the movie before the twists are spoiled for you though it’s still definitely worth watching even if you know what’s going to happen. So, what about those bad reviews? I’ve seen some very positive and upbeat fan reviews but there are also some pretty harsh reviews out there from fans and critics. This is my personal opinion on that: I saw what happened to George Lucas when the Star Wars prequel films came out and I think that JK Rowling is going to be experiencing some of the same type of fan and critic backlash that happens when people become extremely invested in your universe. There starts to be a sense of ownership and entitlement and anger when expectations aren’t met. We as fans care a lot about the Harry Potter universe. We know the stories inside out, we have headcanon and theories, wishes and ships. This film shakes up some assumptions and challenges expectations. In my opinion, that’s where some of the really negative reviews are coming from. There are some legitimate criticisms, I offer a couple above, but I hope that we don’t see the kind of hate dished out for these films as that which was heaped on Star Wars Episode I, II, II and now the Sequels. Not everyone is going to love this movie and that’s okay, I just hope we don’t treat Rowling like Lucas which was terrible, and that we don’t fracture our Harry Potter fandom. Next, I understand that Johnny Depp is problematic because of his troubled personal life, but I don’t include that in my evaluation of the film. 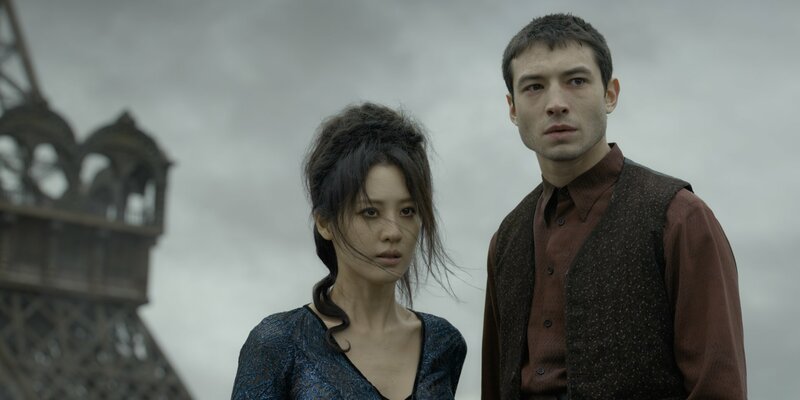 I also recognize that some were troubled over the casting of Asian actress Claudia Kim as Nagini, concerned that the casting choice may express an implicit connection between Asian cultures and snakes and enslavement. I read a good piece written when the casting was announced from someone more expert than I am on the topic and I was mindful of those concerns as I watched the film. I found Nagini’s character portrayal very sensitive and in fact hers was one of the most poignant roles of the movie. Kim is ethereal and simpy wonderful as Nagini. I personally did not feel it was exploitative of her as a woman or a South Korean, but of course I respect other opinions on this and I look forward to seeing how her role is viewed by people in the Asian community now that the film is out. Previous Post: Extra Life: Get Art for Your Heart! I’ve been sitting with the movie for a few days, mulling it over and also reading some informed critiques discussing the new film’s shortcomings, particularly dealing with issues of race and women’s roles. I stand by my assertions that this movie is entertaining and enjoyable and there are some wonderful insights into The Wizarding World, but I can now see with a little distance that it’s also problematic in some ways as well. The film disappointed many audience members in terms of treatment of two of the central female characters and they are not wrong to feel some dismay. I hope that future films in the franchise are able to take these objections into consideration and develop the female and POC characters in a responsible and respectful way.